On the south side, the risk has been pulled to Ft. Sill and now includes OKC and Norman, Oklahoma. 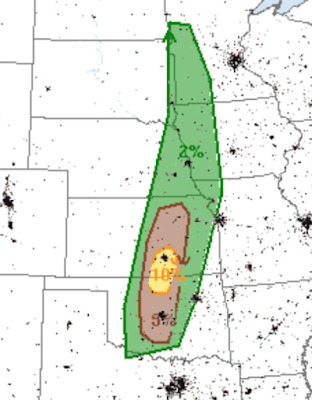 The elevated 10% risk around Wichita and south to Enid is unchanged. The large hail area has also been expanded. 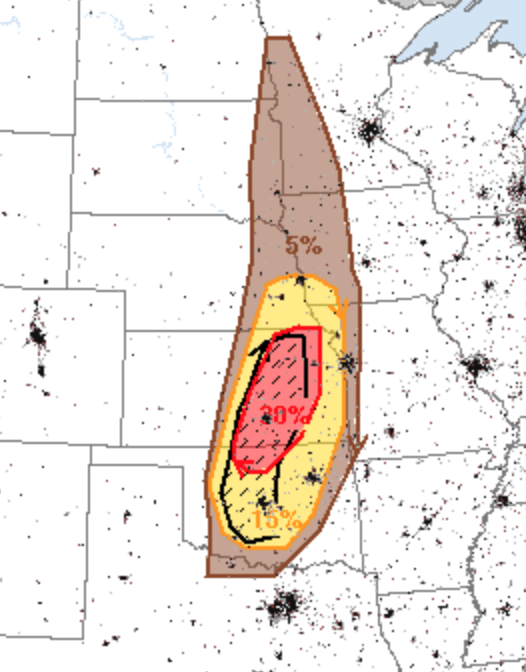 The significant (>1", ≥15% probability) has been expended north to Omaha and to Kansas City. The very large hail (>2, hatched) has been pulled south into southern Oklahoma. 30% is a pretty high hail probability. Put your car indoors before the storms arrive. If you live in these areas, please keep up on the weather later today! !